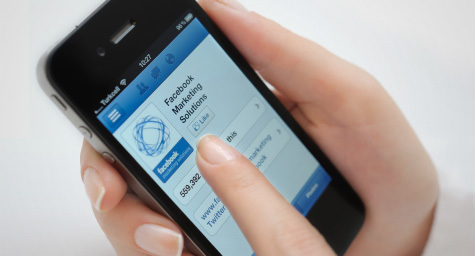 Marketing budgets for Facebook advertising are growing at a more rapid rate than budgets for paid search, according to a recent global study of more than 100 billion Facebook ads served by Kenshoo Social. MediaPost.com reported on the results of where social and search stand today. During Q4 of 2011, study respondents spent 109 percent more on Facebook advertising than in the previous quarter. This dramatic jump revealed that marketers have recognized the value of advertising on Facebook, largely due to improved metrics that provide a greater understanding of ad performance and ROI on social networks. Some of the other factors contributing to the growing popularity of Facebook advertising include both a 105 percent increase in clicks and a 47 percent rise in ad impressions in Q4 versus Q3 of 2011. In terms of social ad impressions served and revenue earned, Facebook reigned supreme by serving up the most display ad impressions of any digital company, including Google, Microsoft, Yahoo, and AOL. Despite these strong statistics, experts say that Google’s 2011 revenue was much larger than Facebook’s, which showed that paid search still holds a steady share of the market today. Looking forward, the growing momentum behind Facebook advertising may change the market and our marketing dramatically. To implement a social media marketing strategy to increase your marketing ROI, contact MDG Advertising.